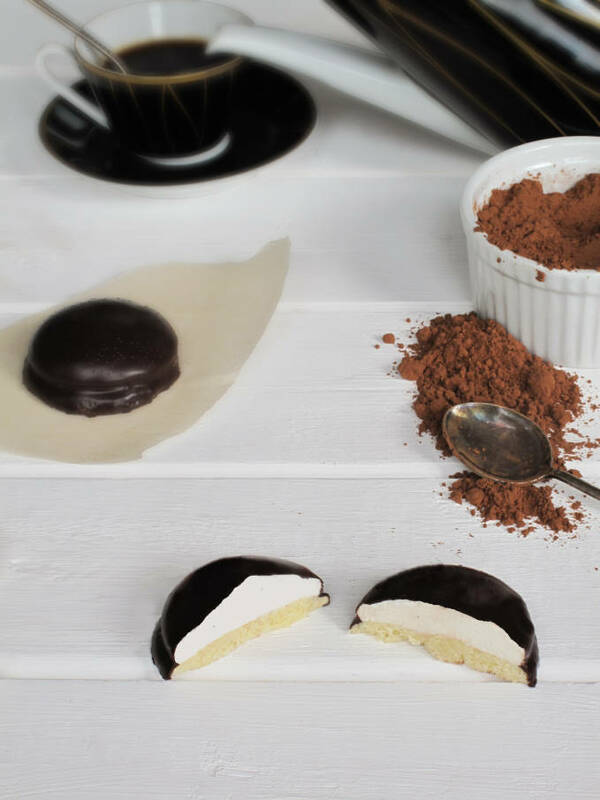 Mallow cookies are shortbread cookies topped with marshmallow cream and dipped in chocolate. They’re also called mallowmares – and this is the homemade version. This is part of my collection of at-home copycats, like cheddar bay biscuits, funnel cake, and the best chocolate chip cookies ever. I probably ate about a dozen of these while watching the opening ceremonies earlier this week. I make a pretty big deal out of the Olympics whenever they’re on. Ever since I can remember (which actually isn’t that far) I’ve watched the Olympics. It’s pretty neat to see hundreds of countries join together to celebrate sport. Even though I’m not the biggest fan of physical activity (instead opting for sleeping) it’s still amazing to watch other people, who are so good at what they do, do it. Especially interesting are the shot-putters, like Canadian Dylan Armstrong. it amazes me how they’re able to spin so quickly, with such grace, to throw a metal ball. I’ve tried that. It’s not easy. In elementary school they made us do “shot-put” with a tennis ball and then a real shot-put ball. Those balls are heavy. It just amazes me what years of training can do. It almost makes me want to be an Olympian. It’s unlikely I’ll go that path though. In fact, I’m sure I won’t. I doubt I’ll ever parade around Olympic stadium but I really hope to one day go to the Olympics as a spectator. However, I’m really looking forward to when the Pan American games come to Toronto in 2015. If you’ve never heard of the Pan American games, it’s an athletic event with thousands of athletes from the Americas held each year before the summer Olympics. It’s not the Olympics, but it’s still pretty cool and I’m excited to go – especially when it’s around the block. Anyway, for the Olympics I made these mallow cookies. Cookies are the perfect Olympic food. They’re great to pass around while watching people jump and run. I feel like if I watch people exercise I myself, by extension, am exercising. It’s the easiest weight-loss program out there: cookie-consumption-while-watching-the-Olympics. Ever wonder why the Cookie monster is in such good shape? It’s because he’s a puppet and therefore he doesn’t gain weight. However, it’s also because he watches the Olympics while eating cookies. Seriously. I’m on the cookie monster diet. 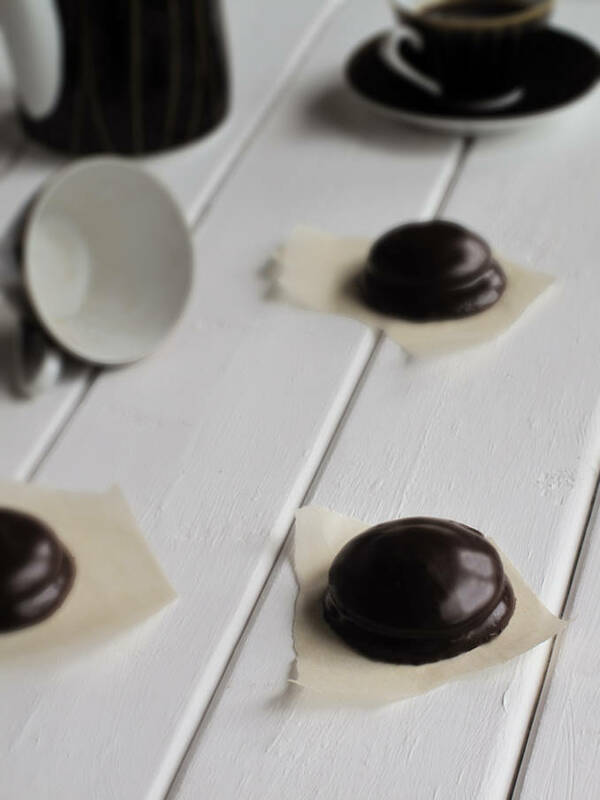 Mallow cookies are made with a shortbread cookie, topped with home-made marshmallow, and then dipped in chocolate. Instead of shortbread cookies though I decided to make snickerdoodles. To be honest I’ve never had snickerdoodles before, but they’re oddly good! They’re as oddly good as their name is odd. In case you’ve never had them either, or maybe you had but thought they had a more sensible name and therefore didn’t know you were eating them, they’re buttery cookies that are crispy around the edges and chewy in the center. Apparently, people like their snickerdoodles either chewy or crispy. I didn’t really know how I liked them so I found a recipe that was supposed to be the best of both worlds. It was the best of like three worlds though: crispy, chewy, and one other world. They were quite good. The recipe made about forty cookies but by the time I made the marshmallows there were only twenty-four left. I was pleasantly surprised by the marshmallow cream. It was velvety smooth and creamy, a mix between marshmallows and marshmallow fluff. It was perfect under the chocolate shell. 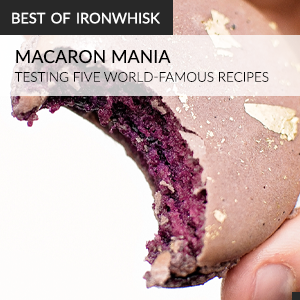 The chocolate cracked when bitten into, complementing the texture of the cookie and contrasting that of the marshmallow beneath it. I really recommend making them. On another note, I’m going to try to post more regularly (instead of the random times I post during the week). You can look for new posts on Monday mornings. So be sure to check out the posts! Or, if you’re forgetful, you can always subscribe. I hope you enjoy the Olympic games. They sure look exciting.. except for the fact that it wasn’t the Queen that jumped from the helicopter but a stunt double during the opening ceremonies. I was really hoping that the Queen would jump from the helicopter. In fact, I was cheering for it with a mouth full of chocolate-marshmallow bliss. Mallows are shortbread cookies topped with marshmallow cream and then dipped in rich, dark chocolate. These are made with snickerdoodles from Anna Olson's recipe. Preheat the oven to 350 degrees F and line 2 baking trays with parchment paper. Cream the butter and 1 cup of the sugar until fluffy and light. Add the eggs one at a time, blending well after each addition. Stir in the vanilla. In a separate bowl, stir the flour, cream of tartar and salt to combine, and then add to the butter mixture, blending well. Stir the remaining ⅓ cup of sugar and cinnamon together in a small bowl. Portion the prepared cookie dough by tablespoonfuls and drop into cinnamon sugar. 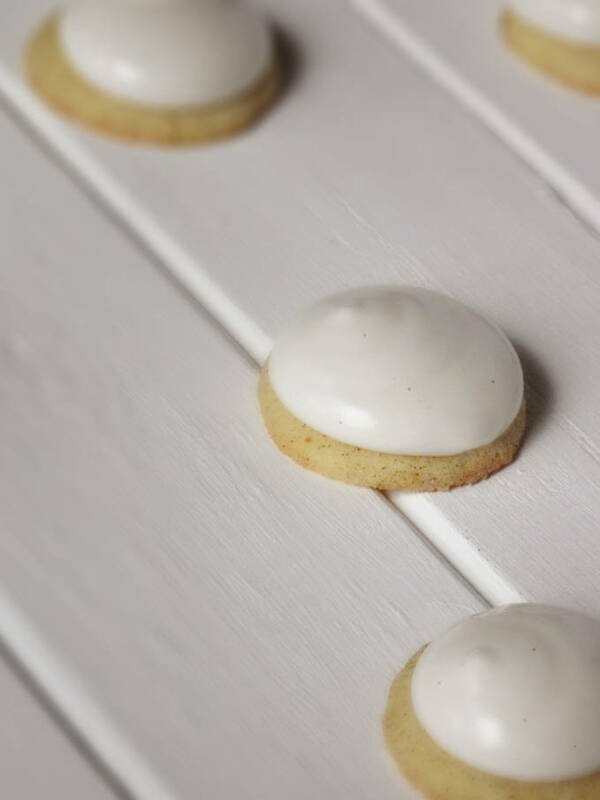 Gently roll each cookie to coat it with the sugar and to shape them into balls and place them onto the prepared baking tray, leaving 1½ inches between them. Before baking, gently press the cookies with your palm to flatten. Bake for 12 to 14 minutes, until the cookies are just lightly browned on the bottom. Cool the cookies for 2 minutes before removing to a rack to cool completely. In a medium saucepan, combine the water, corn syrup, and sugar, bring to a boil until “soft-ball” stage, or 235 degrees on a candy thermometer. Sprinkle the gelatin over the cold water and let dissolve. Remove the syrup from the heat, add the gelatin, and mix. Whip the whites until soft peaks form and pour the syrup into the whites. Add the vanilla seeds and continue whipping until stiff. Transfer to a pastry bag. Pipe marshmallow onto each cookie and let sit at room temperature for two hours. Line a cookie sheet with parchment paper. One at a time, dip the cookies into the chocolate and place on the parchment paper. Or, place a cooling tray over parchment paper and pour chocolate over the cookies. 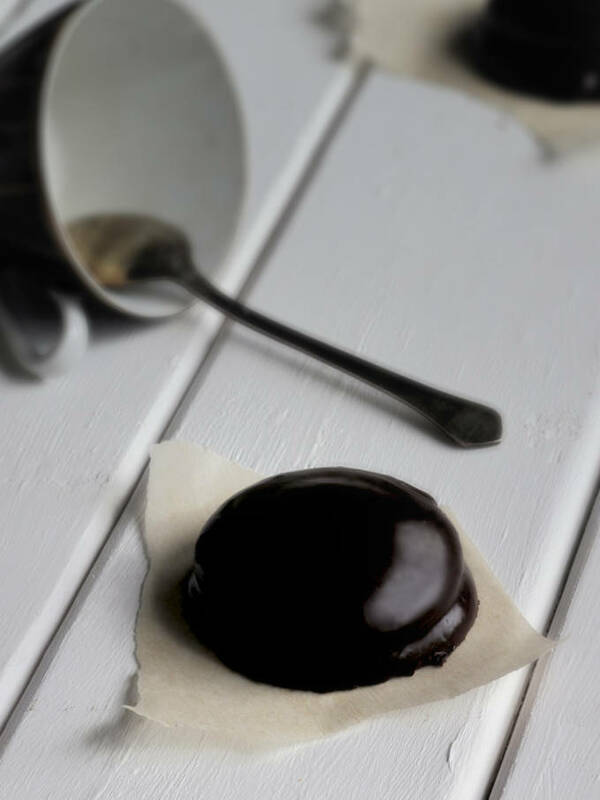 Gather excess chocolate from the parchment paper, melt, and reuse. Let sit until the coating is firm. Ohh, I love the stylish black and white look of this photo set! I want one! They look awesome. Pictures look great as always. I’ll be looking forward to every Monday! I check back almost very day to see if you have something new, when I found that you did today I was excited to read it. These are really popular in England (without the snickerdoodle aspect), but I’ve never seen a recipe for them. Well done, they look amazing! I recently moved to USA and I haven’t seen them over here – are they common on canada? My recipe is a slightly different – they are on my blog if you are interested in another way of making them. I’ve never seen them in a bakery in the U.S., but you can find them in any grocery store. They’re called Mallomars. Nabisco makes them. I love watching the Olympics too. Not a real sports enthusiast though, the farthest I could go is running and playing Wii, that is the athlete-est I can be. One does not have to be the most athletic person in the world to be able to appreciate sportsmanship, camaraderie, determination, and team spirit…I love how everyone gathers for a goal and the symbol of a dream that each athlete represents. I am amazed at Phelps particularly. Like a real wow! These look really delightful! Mallows, cookies and chocolate — are treats I have grown up with. Love to munch on homemade stuff all the time. Thanks for sharing! These mallow cookies remind me of some my mother made when I was a kid. I loved them! looks fantastic! i’m trying soon! only question is, what did you use to dip the cookies in the chocolate? they aren’t messed up at all, theyre prefect! Kelly, I actually poured chocolate over them. I took a sheet of parchment paper and placed a cooling rack over it. I placed the cookies on the rack and poured the chocolate over them. I gathered the extra chocolate from the parchment paper, remelted it, and poured again to make sure the cookies were completely covered. I also tried not to touch them after pouring the chocolate because fingerprints can easily get on the chocolate. Absolutely delicious looking. I love finding homemade versions of store-bought items with a twist. I’m looking forward to giving these a try soon! Can you sub vanilla extract for vanilla beans in the marshmallows? Sure! Use two teaspoons of vanilla extract.